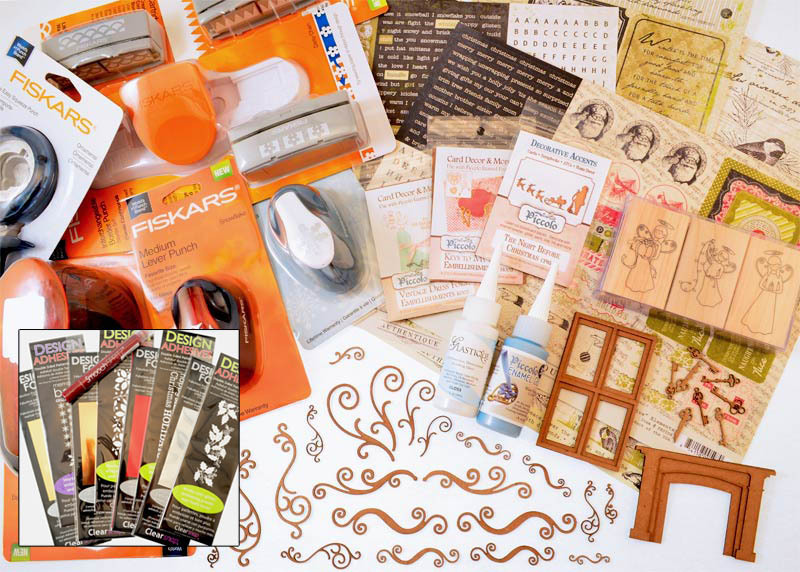 SweetStamps BLOG: Hopping Day 3 & free shipping at G&P! Well, it's day 3 of our Handmade Holiday Blog Hop. Are you having fun? I've been visiting each stop and collecting loads of ideas for gifts to make! We’ve gathered designers from some of our favorite manufacturers to show you ways to create something from the heart this holiday season. This 3-day Hop includes over 60 stops with inspiration brimming from every corner. 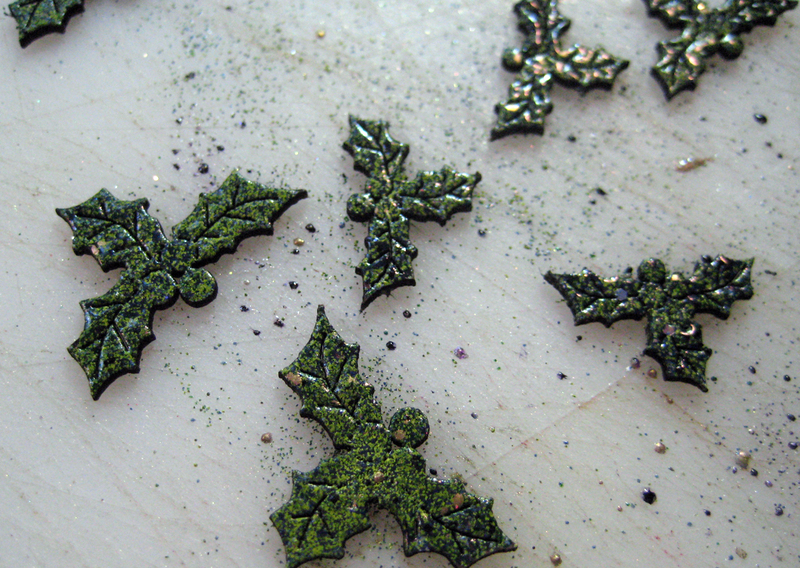 Explore all of the thoughtful and frugal handmade gifts you could create for the holidays! To sweeten the Hop, we’re offering a gift for you! For every comment you leave on the blogs in the Hop, you’ll be entered to win a prize pack from one of the participating manufacturer sponsors! Use the Rafflecopter widget on the Clearsnap blog to gain extra entries each day: http://clearsnap.blogspot.com. Earn extra entries: Follow our blog - by email or become a Follower. Like our Facebook Pageand share the Hop info with all your Facebook Friends. 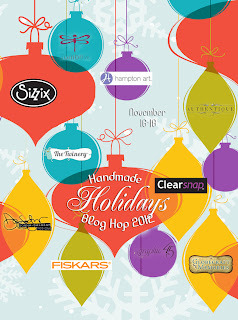 Leave a comment to let us know how you're enjoying this 2nd Annual Handmade Holidays Blog Hop. For our project today I used our DIY Ornaments to create a 'JOY' banner. It's fairly easy to create and holiday decorations make a great gift for someone who has just moved into a new apartment or home. I started by painting the rings of the ornaments and chipboard letters JOY with Ranger's Pearl Paint Dabber and set aside to dry. While that's drying I cut three medallions from Authentique's Festive line. I cut more of the paper to fit the backing of the ornaments (they come three in a package with two globes each; I left the back globe off so the banner would lay flat against a wall or window). Assemble the medallions and set aside. When the acrylic paint was dry I embossed the rings in an embossing folder and coated the painted chipboard letters with a layer of our Metallic Silver 3D Enamel Gel. I squeezed some G&P Mars Black 3D Enamel Gel onto the embossed rings and rubbed it in my finger and quickly wiped the excess off, leaving an antiqued-looking surface. So, while that is all drying I moved along to the next step. I used our Mossy Glen Enamel Powders on our new Holly Leaves. Look at that color variance in there! That's what I love about our enamels - the mix. It gives each item dimension and texture rather than a flat, dull finish. I cut about a dozen 6-inch strips of paper and punched one edge of eight of them with the Fiskars Interchangeable Border Punch and left the other three plain. I made the paper chain just like we did as kids, grouping them in sets of three. About now everything should be dry enough to assemble. 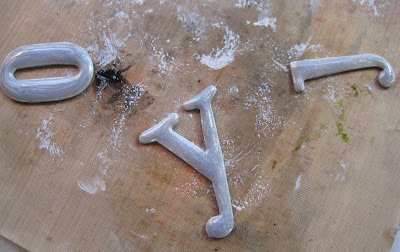 Adhere the chipboard letters to the medallions then adhere those in the center of the ornament backing. Glue the dome inside the top ring and glue the entire piece to the backing. 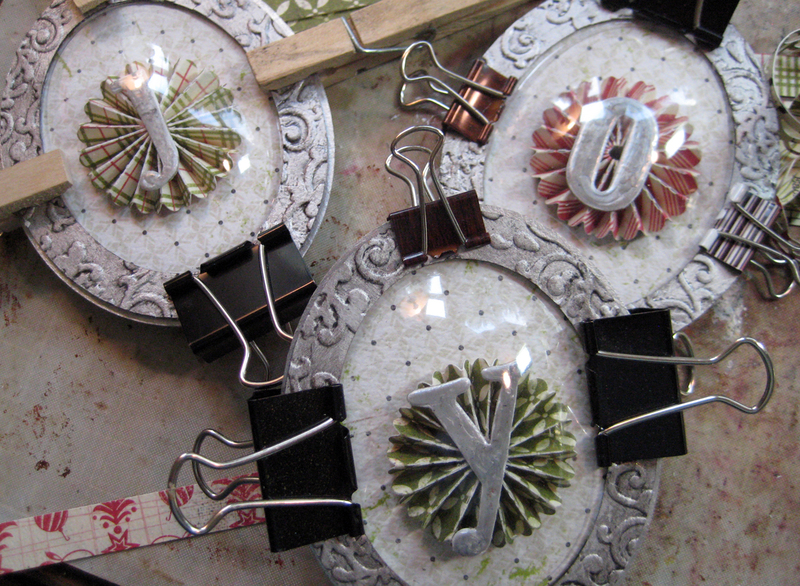 Clamp it all together with clip clothespins or binder clips. I pierced two holes in each ornament and punched two 1/8" holes in the solid paper rings (center ring) to thread the Maraschino Twine from The Twinery through. Thread it all together and hang! 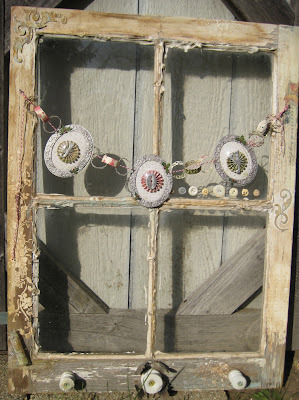 I like the way it displays on my altered window frame. Hope you're enjoying the Hop! Register to receive our blog updates via email or become a Follower - we have a Facebook Page too! We're giving away a great prize package! Visit the list of blogs below and leave a comment on each by Nov. 27, 2012 at 11:59 PM PST. Click and place your G&P order below. FREE shipping during the Handmade Holiday Blog Hop Nov. 16, 17 & 18. Enter special code 'free' to get your free shipping! 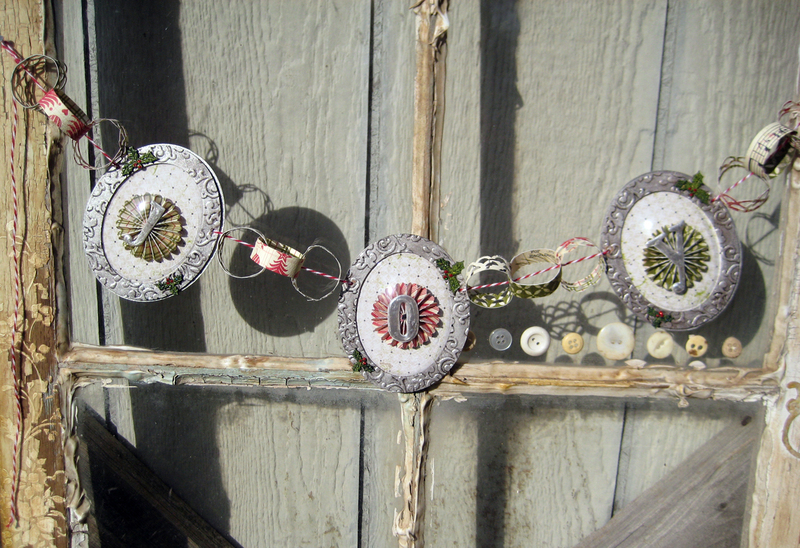 Beautiful banner - love the JOY ornaments you have made - thank you for sharing how to make them!!! What a gorgeous banner! Thank you for the pictures and tut!! Love it! The most amazing hop - with wonderful inspiration all around, thank you! Beautiful banner, like the fact that it can lay flat against the wall/window. Would look great over a mantle. I haven't used rosettes for quite a while--thanks so much for the reminder. Very nice project. The idea of using globeframes for a banner is darling! Love the rosette in the globe! Clever dimension! Thank you for the inspiration! Love the idea. Love the globes! So cute! Beautiful banner! Wonderful banner and great idea. thanks for sharing and for a great blog hop. The ornament banner is awesome! I love it! Thanks for sharing your ornament techniques. I really like them. Holy wow! This banner is just amazing! Definitely pinning this! That is one beautiful ornament banner. ... wow wow and wow.. this is amazing..
Wow, what a gorgeous banner!! I love the beautiful design!! Thanks so much for the inspiration!! That banner is out of this world! Gorgeous! Thank you and your designers for all the hard work you put into this blog. It was amazing! Full of Christmas Cheer and Inspiration! So pretty. The 3D enamel is now at the top of my wish list, I knew yesterday I must get it and now I am convinced. I love this banner, the enameling is beautiful. love the rosettes, and the color pallete is wonderful. thank you for the inspiration. Your banner is so cool. Thanks for sharing. Love banners--you could hang yours year round! Adorable! Upon first glance, I first thought "Southwestern". This banner is amazing! So HAPPY to have found you!!! You have new follower in me!!! I love your JOY banner, and thought at first glance it was a concho belt. It is so beautiful, I guess you could wear it if you were so inclined. Thank you for sponsoring this blog hop, I had a wonderful time "hopping" along. love the banner... just made one for thanksgiving! So glad you are the hop! I'm seeing such fun new things! TFS! love that frame with the banner! so many cool textures! the hop is great, my first year doing the whole thing, but sooo many ideas!! great projects, folks! thanks so much for the opp to work with your delightful laser cuts - they're beautiful. What a cute idea using the little ornament kits for a banner. I love the way the bubbles showcase each letter and adds a specialness all its own! Forgot to say I have become a follower! Very cute textures with that enamel! Thanks for sharing! Love these ornaments! I hopped over to your store and saw so many things I want to order - now I just have to get my budget to cooperate! I love these DIY ornaments - such a great idea! and my daughter needs that Steampunk airship for her Christmas ornament :) Thanks for sharing! I am thrilled to have found a new source for such fun products! Love the banner thanks for sharing. Nicest banner I have ever seen. such a nice banner. very cool. 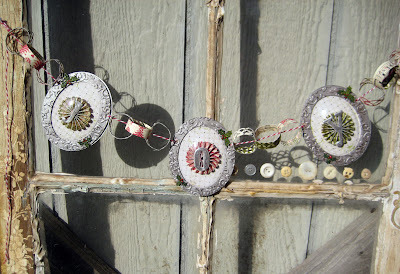 Very pretty banner--I like the rosettes. Nice banner, I am on my way to check out the DIY Ornaments. Ok, this project is crazy cool! I love your instructions and photos and will return for more inspiration! Thanks! So cute! I need to order some for myself. Following the blog and have liked you on FB for a while now.Loving all the inspiration-I got a few goodies from you a while back and this hop has given me some great ideas for them. Some more things I didn't know about that I need now. Beautiful work. this is so neat. I love this project. Wonderful job. What a cool banner! I really like it! Love the project, and absolutely loved what you did to the chipboard letters...I am taking that idea for all of those crazy left over letters. I am follower on FB and the blog. Thanks for sharing! Totally awesome project. Thanks for all your hard work for this hop. I have really enjoyed it! Such a great idea. thank you for sharing and being part of the hop..
loved the ornaments. Great directions! Your projects are great! Hugs, Susie. Banners are so pretty to hang and decorate with. Love all the creations - totally awesome!! Love your globe banner!! Love your products! Terrific projects on all the designers blogs, too!! Great globes! 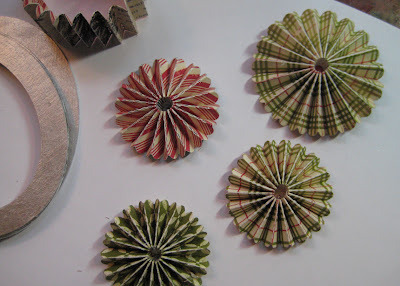 I've seen these ornaments at the store but never considered decorating them with my scrapbook materials. I may now need to give this a try! Thank you everyone! We have really enjoyed working on this Hop for you so it's so wonderful to see you have all enjoyed it! Continue to watch our blog for more inspiring ideas!